With a CURVED rubberized blade. It's a little like having a windshield wiper for your horse's body! 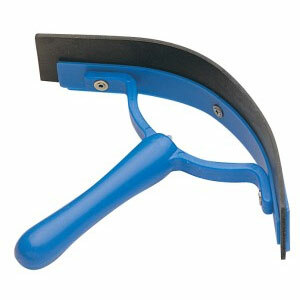 This type of scraper may be preferable for some to use. It has a grip handle, allowing you a more comfortable hand and wrist position. The blade is 11" long.